Is there a cool way to learn Japanese playing video games? 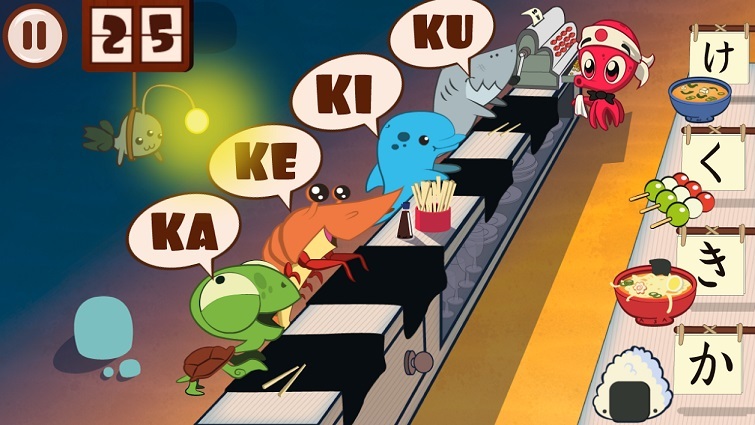 Serious Games also expand to language learning as Takos Japanese has been proving. Missions, activities, humour and a cool art-style are keys for the good performance of Tako’s, winner at the Fun&Serious Games Festival 2015 at Bilbao. But what is behind the scenes? Who, where and why was created Tako’s? We interviewed Alberto Gomez, CEO at Grogshot Games to find out. [OnSeriousGames] Why Japanese and why a Video Game? [Alberto] I was at the university studying a degree in video games development when I met Julio and Luis, my partners in this crazy adventure of creating video games. From the very beginning, we connected really well. Later, Alex, our developer joined the team. We were all eager to do new things so we started using our free time to start working on some video games ideas. Takos Japanese was our first “big” project. Our artist Julio had been studying in Japan for one year so he proposed the idea of creating a video game to learn and practice Japanese. Just what he would have liked to have when he was starting learning Japanese. [ONSG] From those first days and ideas… how has the game evolved? [Alberto] It evolved a lot! Our first idea was creating a platform game!! But because we wanted to reach players with a zero level, we rethought the structure. The lesson-system was then created and it has been evolving since then. We have changed a lot of things thanks to users’ commentaries and suggestions. To avoid boredom during lessons, we added mini-games and little tests all along the levels for the fun factor. Players can totally forget they are studying. They are actually playing! [ONSG] What do you think is the key for Tako’s success? I think the reason is a compendium of hundreds of little details and decisions that gathered, create a good and fun user experience. Quality is a MUST for us in all our projects. We managed to create a game that doesn’t demand a previous knowledge of the Japanese language. That attracts a lot of different audiences. [ONSG] Who is your average user? Is there any specific trend? [Alberto] The game is targeted to any beginner student, despite age, so our players’ background is pretty varied. They are usually people that already started learning Japanese and want to practice, but we also have curious people intrigued by Japan and its culture. They can have the first taste of Japanese using Takos, instead of enrolling in costly and time-demanding courses. [Alberto] Yes! From the very first prototype we went for the “kawaii style” or “cute style”. We felt in love with it! Lots of things changed in the game, but the style survived all of them. Over the years, we have been polishing the art, but the spirit has been always clear. [ONSG] Not everyone believes in Serious Games. Would you say the Japanese student is easier to convince about using technology when studying? [Alberto] We don’t have specific data on this, but yes, it feels like this is true. Japanese students are generally younger than the average student in other languages. They are habituated to use technology everywhere even applied to Education, so using an app is not going to scare them! [Alberto] Of course all the times we have won a prize have been amazing, but he best moment was undoubtedly when we finally released the game. That’s the biggest satisfaction. We put a lot of effort and when it was finally out there and we started receiving very good feedback, all bad moments were forgotten. One person wrote “Learning languages should be exactly like this, fun and interactive. Your game has the potential to become the best option to learn Japanese through an app!”. It’s difficult to not get emotional after that! Worst moments were all related with difficulties during development. It took us a long time to finish the game and there were times we got stacked with technical problems that demanded a lot of effort on our side. But we always ended up solving them one way or another. [ONSG] What are you planning to do with Takos in the near future? 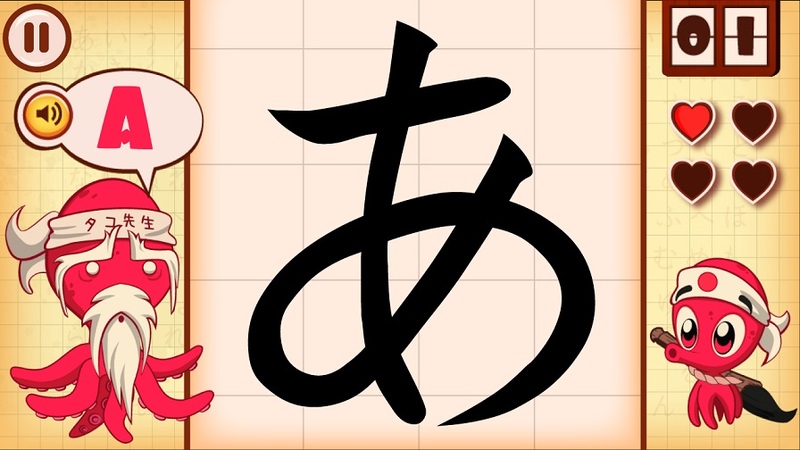 [Alberto] We are planning to add more content, more kanji to reach higher-level students and of course, keep polishing the game. But overall we are focused in our next project Clicker Pirates, an incremental game to live the life of a pirate. The more you play, the bigger your treasure will be! Takos Japanese is available in English, Spanish and in 5 more languages! 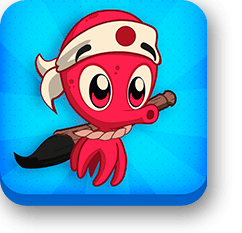 French, German, Portuguese, Italian and Korean speakers can also play with Tako, the main character. You can download Takos Japanese here. Do you want to know more about Serious Games, Gamification and Playful Learning? Don’t forget to follow us on Twitter, LinkedIn, and Facebook. 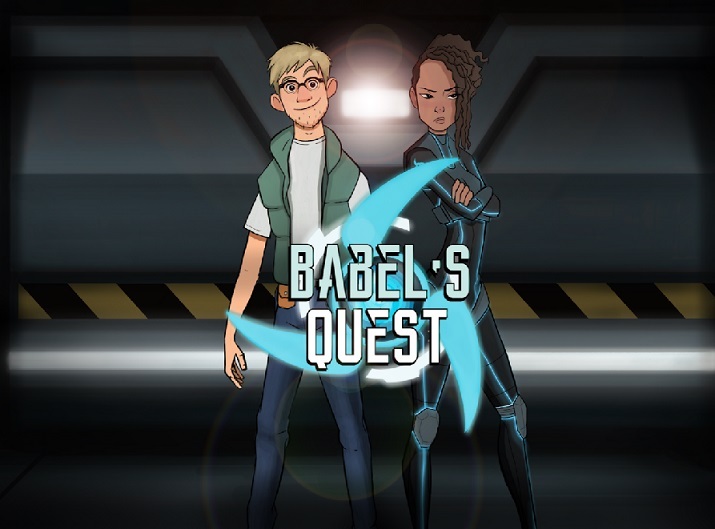 Graduate in Communications, Movie Direction and finishing a degree in English Language and Literature, her multidisciplinary career includes TV and movie direction, script-writing, video games localization, game design, international project management and multi-platform video game production. Curious about everything, she divides her time between onseriousgames.com, Serious Games projects, any Assassin’s Creed title and her Mandarin Chinese lessons.